Hi, I’m Tonja and I grew up stanning Aaliyah so damn hard, I wanted to be her. Following Lifetime’s Surviving R. Kelly, Aaliyah’s name is (unfortunately) once again inextricably linked to R. Kelly’s tarnished web. So, for what would have been her 40th birthday—on the day of her birth, at the very least—I wanted to dedicate something exclusively to her. Oh, how I loved Aaliyah. Aaliyah’s chill style, her smooth dance moves, the immaculate combo of tomboy and sensual, and the marriage of perfect production between her, Missy Elliott and Timbaland—I stanned for it all. Speaking of her style: Tommy Hilfiger can thank Aaliyah for even a remote interest in his clothes. Yes, since it was urbanized at the time, everyone was wearing it, but my specific muse was Aaliyah. That iconic tube top situation with the boxers poking out of the baggy jeans?! ART. Ask me if my grandma or mama would let me rock that at my age in the ’90s, though. The answer was hell to the no. But, I did in my head. Thus, I stuck to the extra baggy style of Aaliyah’s early days, since it really spoke to the tomboy I was at the time. Oh, and her hair. That swoop bang gave me all I needed to get by. I recall a time when I pleaded with my designated hair stylist, my grandma, to “do my hair like Aaliyah’s.” Queen of the roller-set, my loving grandmother bumped those ends so stiffly, my below shoulder-length hair shrunk to the length of someone’s auntie at church. In the 1950s. So yeah, it was at that moment I knew it was time to switch to the creamy crack, also known as perm. As for songs, I enjoyed all of her bops, but when “Are You That Somebody” dropped?! I likely convulsed from excitement so hard, I imploded. I’m still (steel) here, though. The choreography (which, of course I studied and learned, duh! ), the epic baby coo on the beat, the looks ... I was in music video bliss. Regrettably, I never met her in person, nor did I know her. But, she was like the Tom Hanks of music—no one ever had a bad thing to say about her. Ever. Baby Girl seemed sweet and lovable. Like any notable event in pop culture, I distinctly remember the fateful day of Aug. 25, 2001. I was happily sleeping at my favorite auntie’s house when my little cousin yelled, “OMG AALIYAH DIED!” My upper body shot up in response (yes, like the TV or movie character after a nightmare) and I sat in shocked silence for what felt like hours, but was probably seconds. I’m not one to get into any ridiculous “If Aaliyah was still here, Beyoncé wouldn’t be a thing” hypothesis, because I scoff at any Highlander-esque assumptions about female artists. I don’t even spend much time theorizing on what she “could’ve been” since she was tragically snatched from us so soon. My focus is on the nostalgia. And I miss it. I miss Aaliyah. 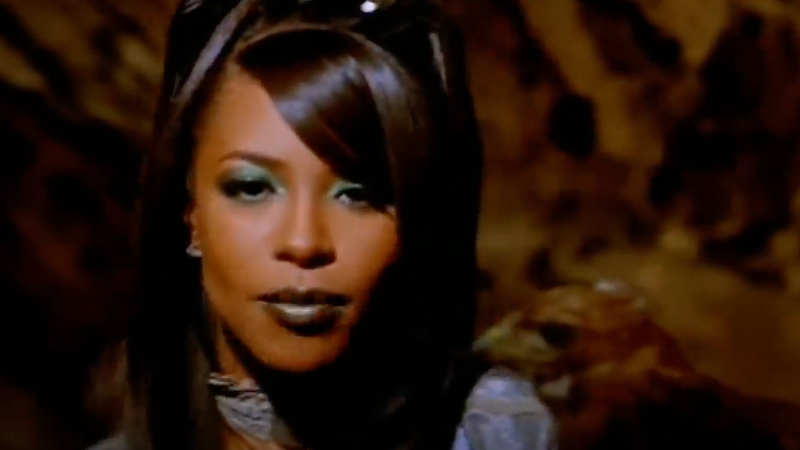 Aaliyah for MAC: Is the New Collection ‘One in a Million,’ or Should They ‘Try Again’?